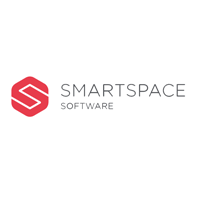 SmartSpace Software Plc (LON:SMRT), the leading provider of ‘Workspace Management Software’ for smart buildings, commercial spaces and hospitality, recently released interim results its for the six months ended 31 July 2018. CEO Frank Beechinor joins DirectorsTalk to discuss the whats been happening since we last spoke. Frank talks us through the integration of SwipedOn, provides details on the integration of both Evoko and a leading international bank, the recent board updates, the appointment of N+1 and what investors should be looking for over the next period. SmartSpace Software plc is a SaaS-based technology business, designing and building software for occupancy management and space optimisation. Our products help people work smarter and more efficiently and to maximise the utilisation of their corporate real estate. The Company’s software solutions in workspace, retail and hospitality help transform employee and customer engagement with modules which include: desk management, meeting room management, wayfinding, car parking, visitor management, frictionless vending and analytics.